Video inventory management platform SpotX and video discovery and distribution platform Vemba have partnered on a product suite that manages the syndication and monetization of premium video content. The solution provides an end-to-end product for content producers and publishers that syndicate video content, from asset and distribution management to monetization via direct and indirect channels. Publishers seeking to access and monetize premium video content for their own properties can access over 500,000 videos from Vemba’s discoverable marketplace. The new product will enable publishers to directly set monetization controls to optimize margin against each video. For example, the system will identify in real time if a piece of content will deliver a defined margin against the exact ad that is served before the video player is rendered. For content owners, the solution provides a multi-channel distribution strategy across owned properties, third-party sites and reach platforms from a central syndication management hub. 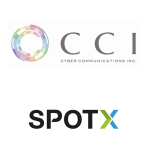 “With this partnership, content owners will be able to make informed syndication decisions and understand the value of content across the web in order to maximize yield from each syndication opportunity,” said Sean Buckley, SVP, Global Revenue at SpotX. “Currently, content syndicators manage reach platforms and partner sites in separate systems, striking most syndication deals on a case-by-case basis. The combination of SpotX’s advanced monetization tools and Vemba’s distribution platform enables video publishers to make pre-emptive decisions based on insight into the monetization opportunity,” added Garrick Tiplady, CEO of Vemba. The integration between the two platforms works via a direct link that enables publishers to monetize content sourced via Vemba’s platform using SpotX’s advanced ad serving tools and programmatic infrastructure. Vemba counts over 95 leading media company partners, including VICE, Condé Nast and tronc as clients. SpotX works with over 700 publishers around the globe, including names such as Thomson Reuters, Mediacorp, Meredith Local Media Group, PBS, Gameloft, E.W. Scripps-owned Newsy and Anypoint Media. 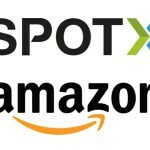 SpotX is a video inventory management platform providing premium publishers and broadcasters with monetization tools for desktop, mobile and connected devices. The platform features modern ad serving, programmatic enablement technology, and other monetization tools, including outstream video ad units and solutions for connected TV. SpotX gives media owners the control, transparency and actionable insights needed to understand buyer behavior, as well manage access and pricing, and maximize revenue. The company is headquartered in Denver, Colorado, and has offices in New York, San Francisco, London, Sydney, Amsterdam, Stockholm, Hamburg, Belfast and Singapore. 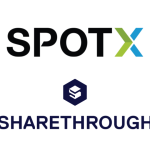 In July 2014, European entertainment network RTL Group acquired a 65% stake in SpotX. For updates, follow SpotX on Twitter and LinkedIn. Vemba is a next generation video platform for premium publishers. Vemba has distinguished itself in the video distribution market as a uniquely publisher-focused platform, enabling content publishers to directly control all components of video distribution, ingestion and monetization. Vemba’s content marketplace includes over 500,000 videos, covering all major content verticals. Content from Vemba’s discoverable video marketplace works with any video player technology, and offers real time video analytics in a player-agnostic way. With offices in New York, Los Angeles, and Toronto. Vemba is powering video distribution for the world’s leading media companies. To learn more, visit www.vemba.com.